We have some new neighbors who have moved next door to us this spring. We’ve been keeping an eye on their mailbox and house as they travel back-and-forth from their old location. They are a lovely couple, and they surprised us with Brazilian coffee and candy! Delicious! 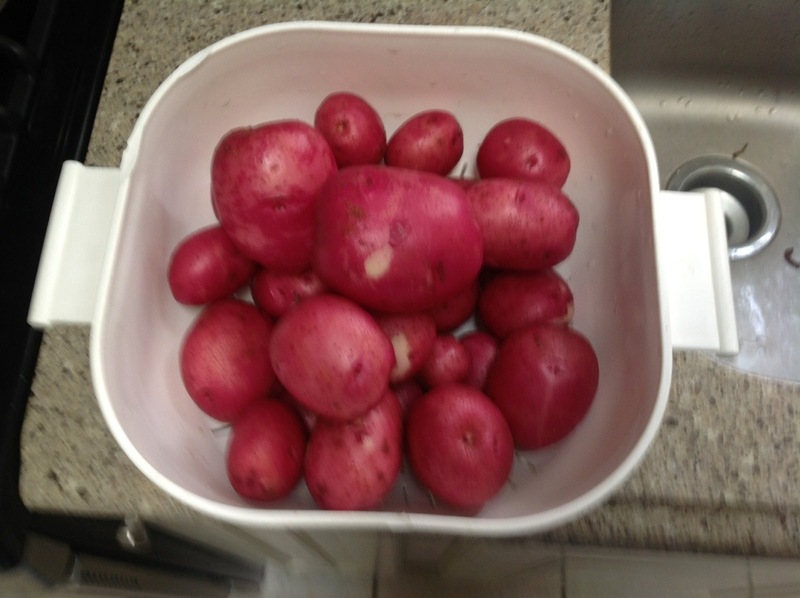 We didn’t have anything quite so exotic to offer in return, but this morning we dug up the first of our red potatoes to share our harvest from three potato plants! with our nice neighbors. What kind of hydrangea is this?